Like so many celebrities, Shah Rukh Khan also gave in to the lure of internet’s current favourite thing, Instagram Q&As. The actor was asked some cute, some intense and some really weird questions but one stood out above the rest. A fan asked Shah Rukh why he got married to early in life, perhaps sulking over how they couldn’t have him for themselves. However, Shah Rukh had the cutest reply that we are sure will make his wife Gauri Khan blush whenever she sees it. “Bhai love aur luck kabhi bhi aajate hain (Brother, love and luck can become you allies anytime). So both came early with Gauri,” he wrote. Now isn’t this what everyone wants to hear from someone they love? 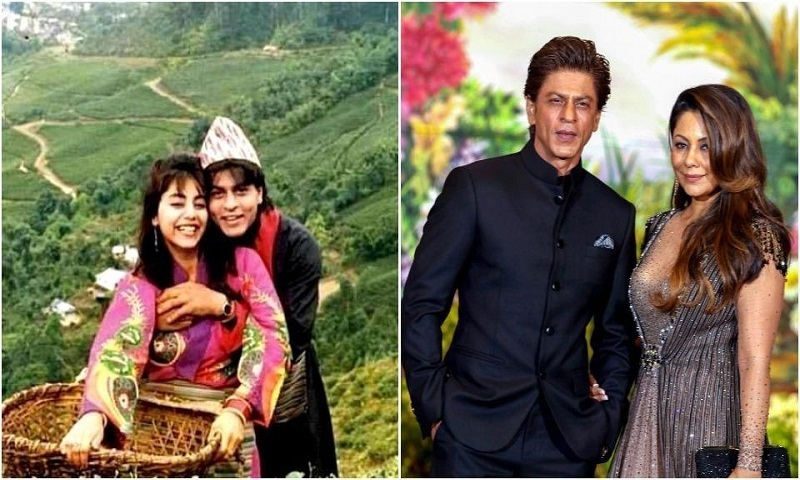 Shah Rukh tied the knot with Gauri in 1991 after dating her for six years.They became parents to son Aryan in 1997, daughter Suhana in 2000 and their youngest son AbRam in 2013. Shah Rukh recently shared the first picture with his wife in five years on Instagram after finally getting her approval for it. “After years the wife has allowed me to post a pic I have taken...she’s all heart!,” he captioned the photo.